Hello everyone, I have a good news to share with all of you today. I'm so happy and honored to announce that I am a part of design team at Challenge YOUrself since the beginning this year! I'm really excited to get back to my scrapbooking adventure! 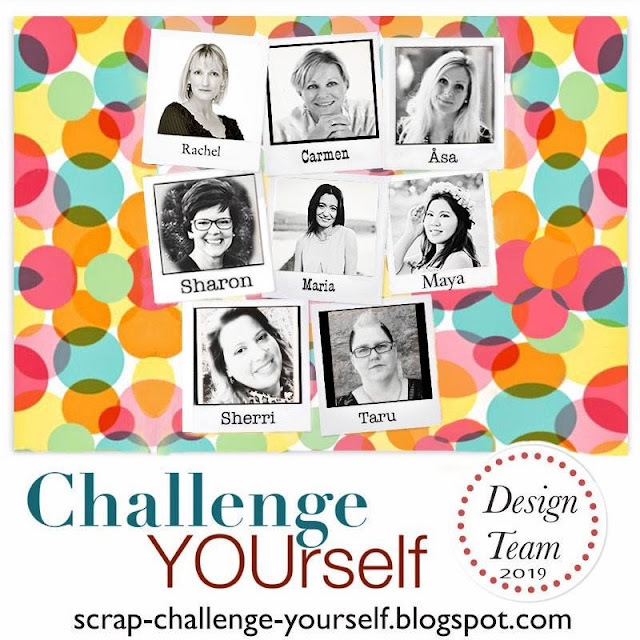 Challenge YOUrself is a scrapbooking challenge blog that is dedicated to include YOUrself (your photo) in your scrapbooking projects. Each month there is one challenge. The new challenge and DT reveals are posted on the 7th of each month and submissions are due by the 4th of following month. For more info, you may click HERE to check out the challenge rules and everyone is welcomed to join us. I'm looking forward to sharing my first DT reveal of 2019 with you soon! Hello there, welcome to my scrapbooking blog! My name is Maya, Chiao-Yu is my mandarin name. 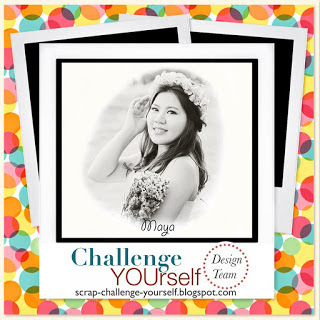 I'm a passionate scrapper, craft designer, blogger, and traveler based in Taiwan, a subtropical island in Asia. Thank you for stopping by!